In this 3 day class, actors will discover the best audition techniques to book the role. Chazz will teach students how to own the room, make bold choices, and leave a lasting impression for Casting Directors. Chazz's long and illustrous career includes over 50 films to his credit, but he is probably best known for his performances in The Usual Suspects, Poolhall Junkies, Jade, Analyze This, Hurlyburly, Mullholland Falls, Faithful (writer & actor), and Bullets Over Broadway (Academy Award nomination). Chazz also directed an episode of HBO's Oz, Showtime's Women vs. Men, and the feature film Noel starring Susan Sarandon, Robin Williams, Paul Walker, and Penelope Cruz. In 1989, Chazz wrote and performed his one-man show A Bronx Tale in Los Angeles. One night, Robert DeNiro saw the show and made his directorial debut with the screen adaption, which Palminteri wrote and co-starred in. Most recently, Chaz created the Broadway musical version of his film along with Alan Menken and Glenn Slater. The show ran at the Longacre Theatre until August 2018. Please bring a monologue of your choice to work on for the first class. For the following weeks, you will work with Chazz using specific sides he has chosen and assigns to you in advance based upon your work in the first class as well as your headshot. In class, Chazz will generously work with you, giving you feedback and adjustments to your scenes and monologues. This class is for the serious, professional actor. One on One NYC reserves the right to remove any student from the class per Chazz's discretion. BRING A HARD COPY OF YOUR HEADSHOT/RESUME TO THE 1ST CLASS. 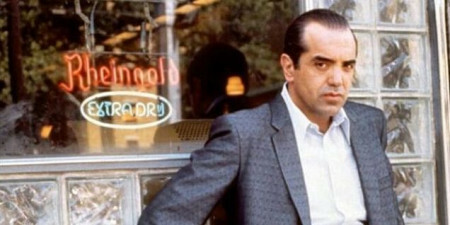 Bronx-born and raised, Chazz Palminteri was a natural choice to continue the long line of prominent Italian actors in the film industry. In the tradition set forth in the 1970s by such icons as director Martin Scorsese and actors Robert DeNiro, Al Pacino, and Joe Pesci, Palminteri has brought grit, muscle, and an evocative realism to the sidewalks of his New York neighborhood, violent as they are and were. Born in 1952, Palminteri grew up in a tough area of the Bronx, and it gave young Calogero (Palminteri's given first name) the life lessons that would later prove very useful to his career. He started out pursuing his craft in studying at the Actor's Studio with Lee Straussberg. He appeared Off-Broadway in the early 1980s while paying his dues as a singer in his own band. Well known for A BRONX TALE, Palminteri originally wrote the script for the stage and performed it as a one-man show in Los Angeles. It became the hottest property in Hollywood since ROCKY. Mr. Palminteri was offered over a million dollars to walk away from the project, and with $200 left in the bank, he refused. He wanted to play Sonny and write the screenplay. One night, Robert DeNiro walked in to see the show, and as they say, "the rest is history." He then moved the production to New York, where it played for four sold-out months and earned him nominations for the New York Outer Critics Circle for both acting and writing. While in New York, he completed the screenplay of A BRONX TALE and soon found himself starring opposite Robert DeNiro, who chose the script for his directorial debut. Chazz has more than 50 movies to his credit, including THE USUAL SUSPECTS, BULLETS OVER BROADWAY (Academy Award nomination), ANALYZE THIS, HURLYBURLY, MULHOLLAND FALLS, FAITHFUL (screenplay also written by Chazz Palminteri), POOLHALL JUNKIES, THE PEREZ FAMILY, JADE, DIABOLIQUE, DOWN TO EARTH, and A GUIDE TO RECOGNIZING YOUR SAINTS. Recent films include: FINAL RECOURSE, MIGHTY FINE, YONKERS JOE, JOLENE, and THE DUKES. He has also directed the HBO series OZ (episode: "Unnatural Disasters"), Showtime's WOMEN VS MEN, and the feature film NOEL starring Susan Sarandon, Penelope Cruz, Robin Williams, and Paul Walker. He appeared on the New York stage in the play THE RESISTIBLE RISE OF ARTURO IU starring with Al Pacino, John Goodman, Steve Buscemi, and Billy Crudup. Chazz is a member of the Actors Studio in NYC. Chazz received the 1996 Leadership in Entertainment Award from the Coalition of Italo-American Association, Inc. and was honored by President Clinton with a Special Achievement Award for the Performing Arts from the National Italian American Foundation in Washington, D.C.
Chazz currently resides in Weschester County, NY with his lovely wife, Gianna, and their two children, Dante and Gabriella. After taking a class with casting director STEVE VINCENT, Kathryn Kuhn was called in for a READ THROUGH of an upcoming feature film. After taking class with Erica Silverman Bream of APRIL WEBSTER CASTING at Next Level Studios, Kathryn Kuhn was called in to audition for a recurring role in the USA series COLONY! After meeting Kate Dunn Kennedy from Merging Artists Management, Liz was called in and are now working together! After a session with Gayle Seay of Wojcik/Seay Casting, Selima was called in to audition for CNN's "The Hunt with John Walsh!" While on the LA Trip, Marina was brought in to meet with Tony Ferrar of ROGERS ORION TALENT AGENCY. After the LA Trip, Kate was brought in to meet with Tony Ferrar of ROGERS ORION TALENT AGENCY.